The present Survey is the thirty-first in a series of reports prepared annually by the Economic and Social Commission for Asia and the Pacific (ESCAP). A major object of these Surveys is the analysis of recent economic and social developments in the region and of related international developments. Particular attention is paid to economic and social policy issues and broad development strategies. In recent years, in addition to the review and analysis of economic and social developments, it has been the practice to present in the Survey reports of studies concerning major issues in the countries of the region, as a contribution to the continuing effort to understand the behaviour of their economies and to assess the implications of their experiences for economic and social policy. Part One of the present Survey contains a review of the current economic and social situation in the region. 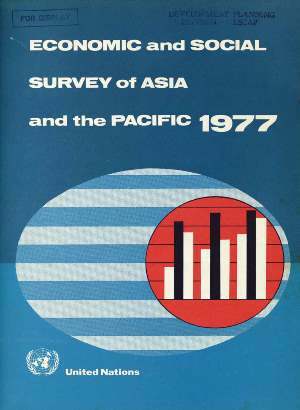 Part Two comprises the report of a study of the impacts of the international economic crises of the first half of the 1970s upon selected developing economies in the ESCAP region and the market and policy response thereto. The elements of this international economic turbulence which are principally discussed include the breakdown of the international monetary system; the food crisis; the fluctuations in the international market economy comprising the primary commodities export boom, the associated inflation and the subsequent recession, and, finally, the sharp rise in the price of petroleum. Beyond the preoccupation with questions of short- to medium-term management of the economy under conditions of stress, the study is concerned with the implications of these developments for the longer term, particularly in respect of development potential. This Survey is published on the sole responsibility of the ESCAP secretariat. Although the contents have benefited from the comments of independent experts and of official representatives from member countries, the views expressed herein are not necessarily those of the Commission or the Governments of its member countries.